It’s a while since I did a feature on the blog, but this one has been percolating for some time. Eighteen months ago I went on holiday to Malaga, and although it was a mixed bag, one thing I really loved was the food culture. I did a food tour which took me from restaurant to market to bar to restaurant, trying the best dishes from the best places, and I thoroughly enjoyed myself (I also spent much of the time apologising to all the lovely Europeans in my tour group about the Brexit referendum result, but that’s another story). When I visited, Malaga was celebrating “Tapas Month” – well, it’s got to beat Veganuary – and participating restaurants had teamed up to put together a tapas trail across the city, each one offering a special edition tapa for a couple of Euros, only available for that month. 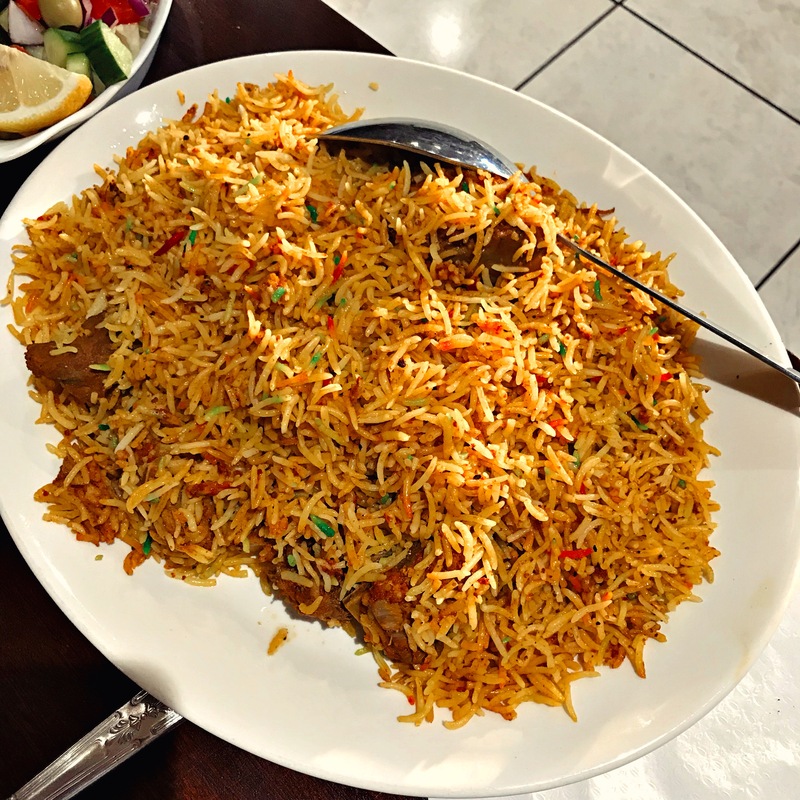 I spent much of my trip wishing I could stop and try all the dishes – that, and wishing that I was on holiday with someone who would want to. When I returned home, I pondered whether either of those things would work for Reading, but decided it was just too difficult in practice. What was I going to do, walk them to the farmer’s market and then take them to Sapana Home for momo? 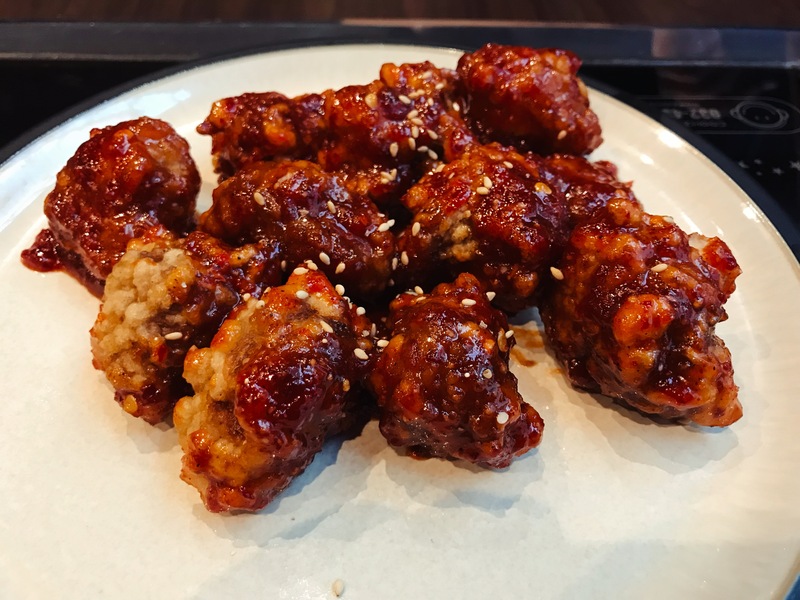 No dice: Reading was too small, and it definitely didn’t have enough of a small plates culture, so I abandoned the idea. This year, I vaguely revisited the idea of readers’ events, namely lunches, and we’ve had two very successful ones so far – at Namaste Kitchen in January, and I Love Paella in May. At the latter, the kitchen (headed by the redoubtable Edgar) put together a set menu including a special dish: ox tail empanadas. They were easily one of the loveliest things I’ve ever eaten at I Love Paella: meat cooked into sticky, yielding strands, deeply savoury, all wrapped up in that astonishing light pastry. If you were there, you’ll know how good they were, and if you weren’t you’ll have to take my word for it, because they were on offer for one day only. So I didn’t manage a tapas month, but for just one day we got our very own exclusive Reading tapa. 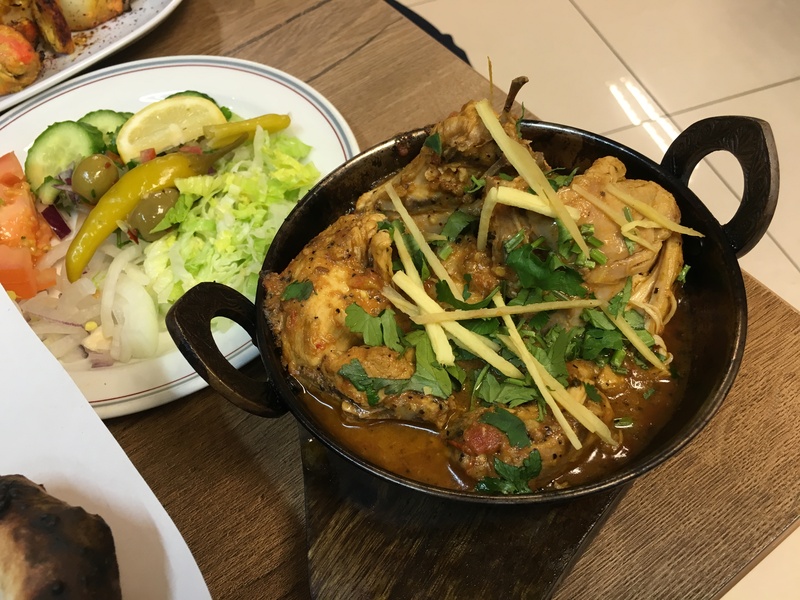 If they’d made it on to the menu, they’d easily be one of the must-try dishes in Reading. But what else fitted that description, I got to thinking. What were Reading’s culinary equivalents of the Seven Wonders Of The World? So my initial idea morphed into exactly that, and it crystallised when I was down the pub with, of all people, Martijn Gilbert, the outgoing CEO of Reading Buses. Martijn has kindly agreed to come out on duty with me before he leaves for pastures new (my way of saying thank you, you could say, for the splendid app which allows me to reply to texts from my mother like “what’s your ETA this evening and would you like a gin when you get here?”). But before that, I spent an evening showing Martijn round the splendid pubs of the Village and I found myself wondering: what should be on his gastronomic bucket list before he heads off to the North East to take up his shiny new job? That’s when I decided – I would compile the list of Reading Dishes You Must Try Before You Die (or, less melodramatically, relocate). After painstaking research and contemplation, I’ve boiled it down to ten signature dishes which, I think, demonstrate the many faces of Reading’s magnificent independent restaurant scene. With one exception, they are dishes you can only get in Reading, or at least only get this version of here: and that means that there are no chains in this list, however much I like Honest Burgers or Franco Manca’s lovely anchovy and caper pizza (I’ve relaxed this rule for number 6, but it’s a tiny chain with two branches). I’ve applied a couple of other rules: one was that I only picked one dish per restaurant, which excluded a lot of wonderful dishes. Another was that they had to be dishes from permanent restaurants, which meant that sadly, Peru Sabor’s delicious ox heart anticuchos and the incredible spiced chicken wraps from Georgian Feast didn’t make the cut. I should also add that I am not a vegetarian or a vegan and I have chosen on merit rather than by quota, which means only one vegetarian dish makes my list. But you could fill an impressive enough list with all the other dishes that didn’t make the grade, from Papa Gee’s Sofia Loren pizza to Shed’s Top Toastie, from House Of Flavours’ lahsooni chicken tikka to London Street Brasserie’s fish and chips. You’ll doubtless have your own favourites which I’ve missed, and hopefully you’ll comment telling me how wrong I am: lists like this are made to be disagreed with, and that’s as it should be. But in any event, I hope there’s at least one dish on this list you’ve never tried, and that this piece makes you feel like giving it a whirl. One final thought before I begin: this could have been a very different list if Namaste Kitchen was still offering its old menu, or if Dolce Vita was still with us. If nothing else, I hope people try some of these dishes out so I’m not lamenting the loss of any of these restaurants a year from now. 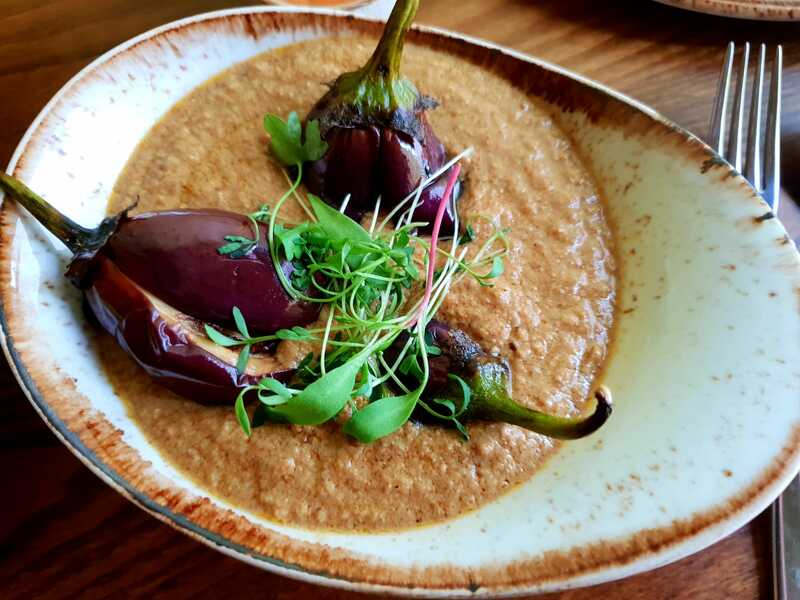 And in a year’s time, who knows what this list might look like: after all, the venison bhuna from Clay’s Hyderabadi Kitchen already looks like a contender in the making, and that place has only been open a couple of weeks. Because, it turns out, Chinese bacon is a thing. I can’t lie: Memory Of Sichuan can be an intimidating restaurant to walk in to. Most of the customers aren’t Western, and the ones that are aren’t eating from the proper menu, the one with all the good stuff on it. 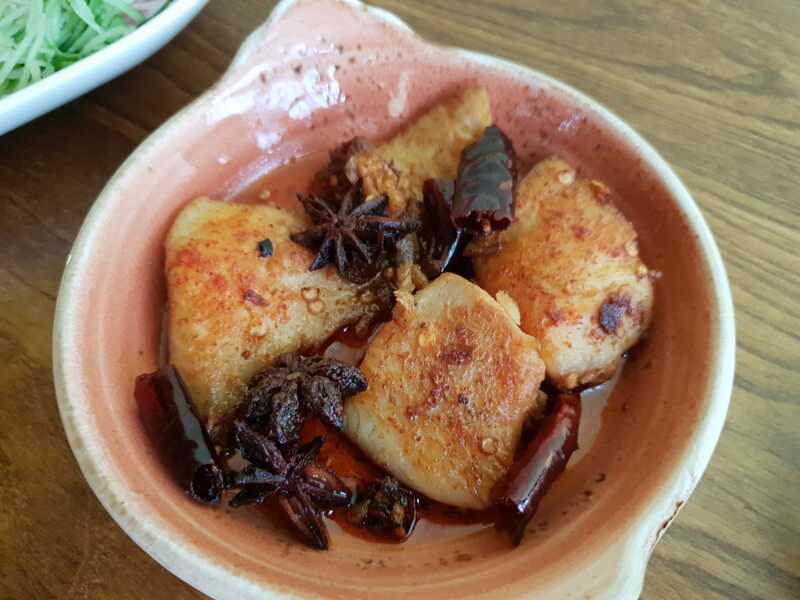 And even the proper menu can be quite an eye opener, with all sorts of dishes you wouldn’t recognize or wouldn’t want to try – duck blood here, pig’s ear there, like a cross between Old Macdonald Had A Farm and A Nightmare On Elm Street. But the big pot cauliflower is well worth it: I suspect it may have more going on than any of the other dishes on this list. 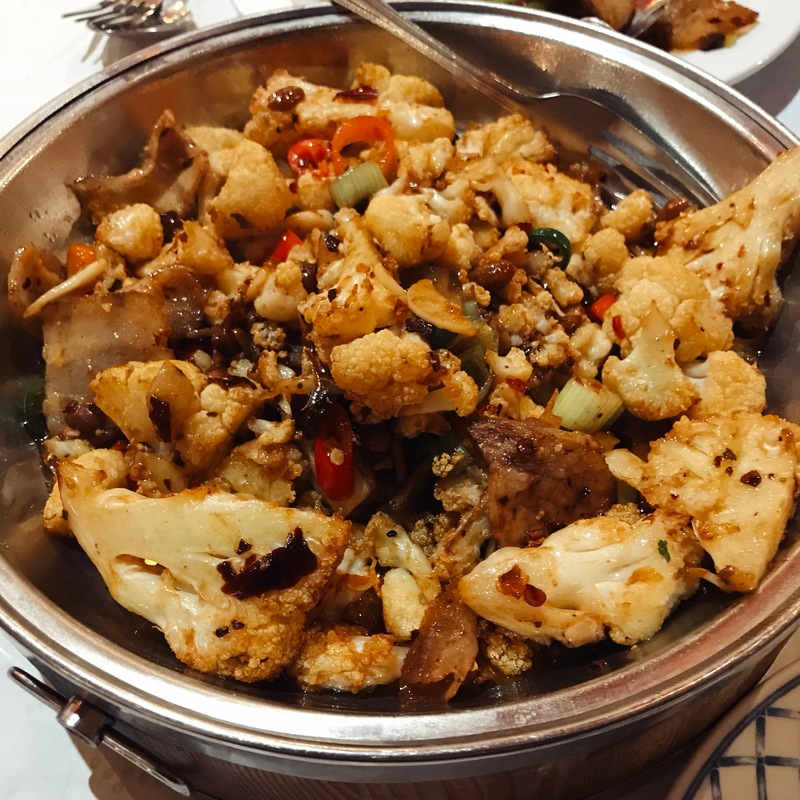 So there’s cauliflower, of course, lovely firm florets of the stuff, but there’s also bacon like char siu, colossal quantities of garlic, spring onion and soy beans. By the end, at the bottom of the pot, you have a sticky, sweet mixture of all of the above just waiting to be chased round the dish with a fork, relentlessly hunted down and consumed. Order it and enjoy – and feel a little sorry for everybody there who’s making do with sweet and sour. The pride of the Oxford Road. Earlier in the year I went to a house party on Brunswick Hill. I was reluctant about going, but I promised I would attend provided I could slope off and have dinner at Kobeda Palace – well, it was just round the corner after all. But the Oxford Road’s Afghan grill house is well worth a hop on the number 17 bus (the 17 bus route is the backbone of Reading, don’t you know) any day of the week. 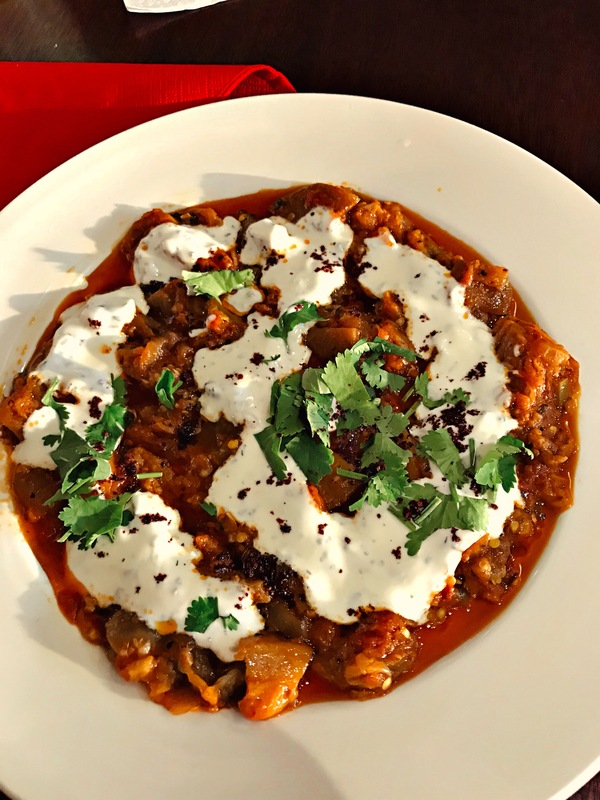 The thing to do, if you can persuade your friends, is to order a huge dish of the chicken karahi – they sell it by the quarter of a kilo – and some naan and spend your time grabbing some chicken, shredding it off the bone (which never takes long) and scooping it up with the naan, along with the beautiful sauce packed with coriander, chilli and ginger. If you can’t persuade your friends, order half a kilo and have at it on your own. 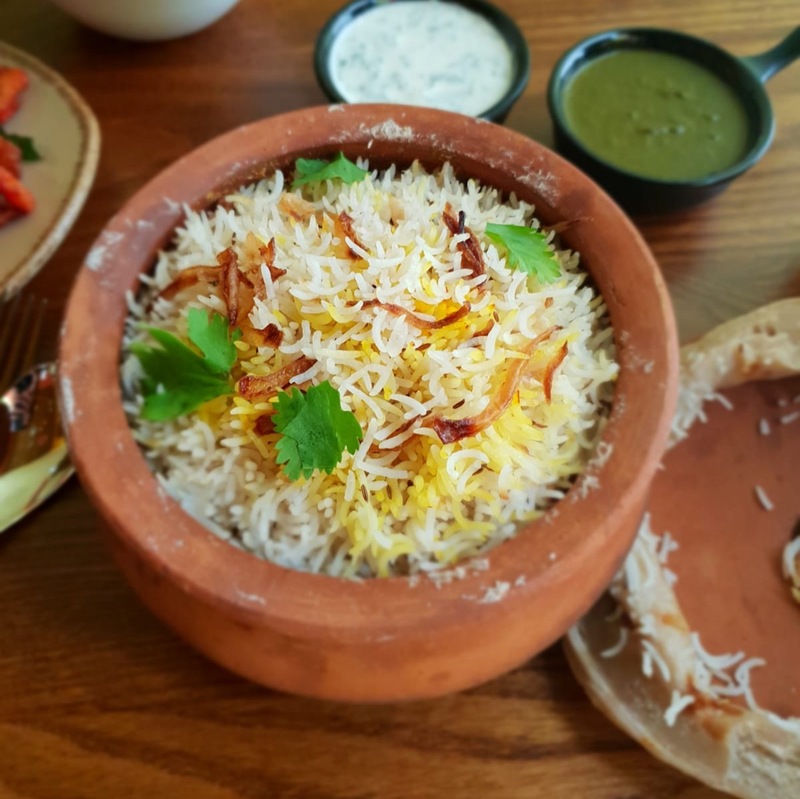 This really is one of Reading’s unsung, unforgettable dishes hiding in plain sight in one of Reading’s most unglamorous and little-known restaurants. The party, since you asked, was okay I guess. But the chicken karahi was out of this world. 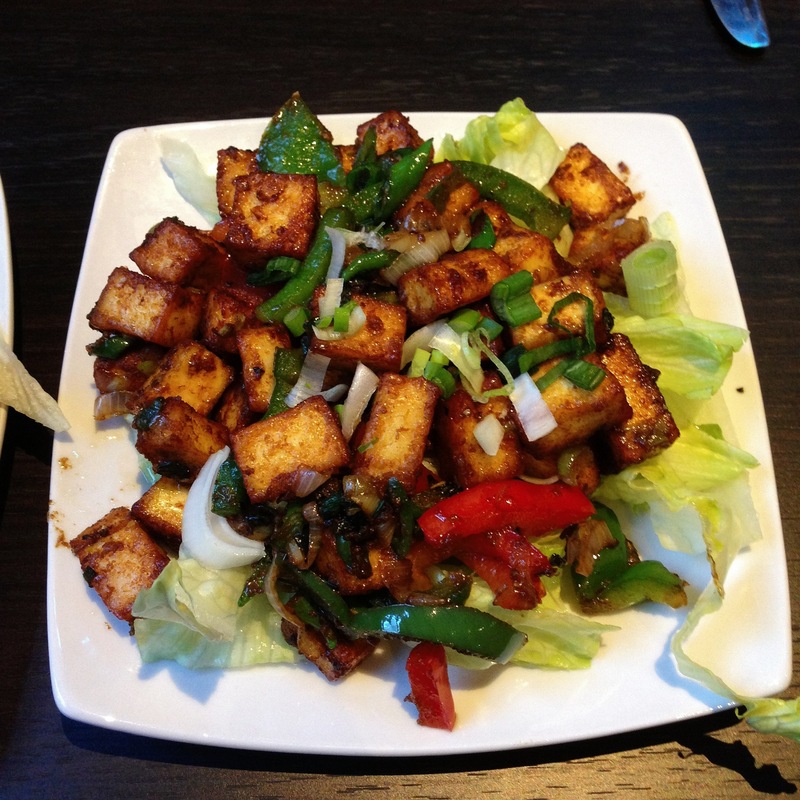 I’ve written about Bhel Puri’s chilli paneer so many times you may be bored of hearing it, but it bears repetition: whether you’re vegetarian or not this is one of the very best things you can spend your money on in Reading. I introduced a good friend to this dish recently, after a long absence, and I got to experience just how wonderful it is through the eyes of somebody else. She enjoyed it so much her face struggled to register it, and instead you got an expression as if she was trying to solve an especially hard Sudoku. It’s so good it almost induces consternation, and I can sympathise: the first time you get that combination of crispy, sticky cheese and sweet green pepper – and the delight of spearing both with your fork and eating them in a single mouthful – is something you simply do not forget. It’s KFC, but not as we know it. 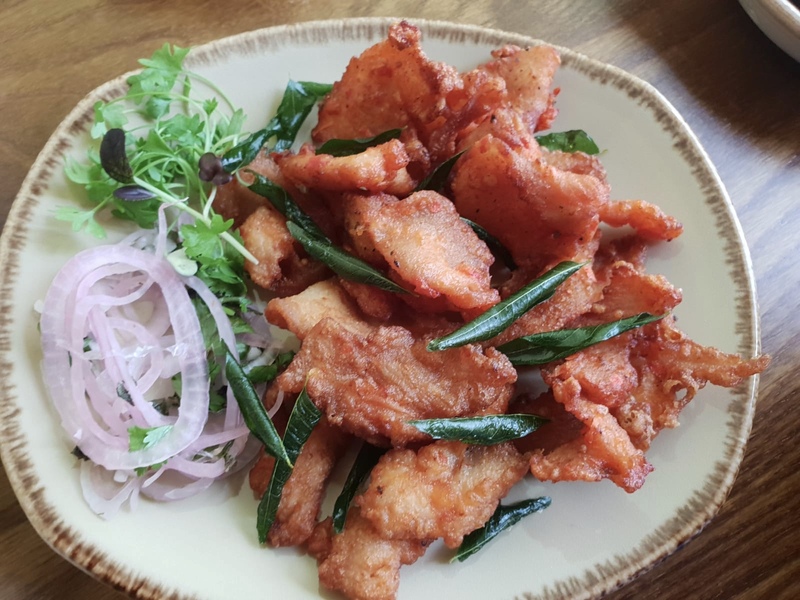 It’s not even a month since my review of Soju, but from the moment I first ate their fried chicken I knew this was a dish I would be evangelising about to all and sundry. The coating was just right, the flesh underneath was spot on, the sauce had just the right mixture of hot and sour without any sweetness. I’ve thought about it dozens of times since, and wondered whether it would be over the top to go back simply to order the chicken and a cold beer, followed possibly by another portion of chicken and a cold beer. An instant classic. This choice will probably come as no surprise – The Lyndhurst won my World Cup Of Reading Restaurants earlier in the year on Twitter with good reason – but it’s still a thoroughly deserved entrant in my top ten. The Lyndhurst has transformed in the last eighteen months or so, offering a range of classic pub food (excellent fish and chips and a very creditable burger) along with cheffier, prettier things: I was particularly bowled over, on a recent visit, by a pork chop with a breathtaking wild garlic pesto. 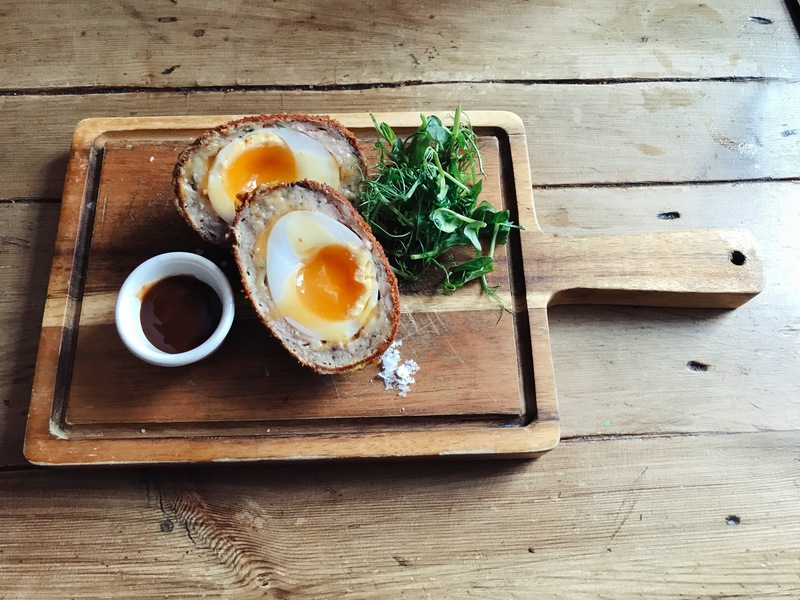 But the Scotch egg is the centrepiece – a generous duck egg, wrapped in duck meat and cooked so the outside has that crispy crust, the meat hasn’t dried out and the golden yolk is the perfect texture for oozing. I’ve even ordered one when I’ve just been at the Lyndhurst for drinks: is that just me? Most Thai food I can take or leave, but I always console myself with knowing that the bit at the end, where all that’s left is the coconut rice and the warming, aromatic sauce, is the best part. Thai Table’s massaman curry turns that on its head because although that bit is still amazing, the beef is simply spectacular – cooked until it completely falls apart, no resistance or (worse still) bounce at all. If I was feeling a bit defeated by life, or worried about the state of the world, I can’t think of any dish on this list I would sooner eat. The spice is there, but sweetened with the coconut milk and the fish sauce the whole thing comes out feeling like an embrace. The sandwich of the gods. Bakery House’s menu is an embarrassment of riches, many of which could easily have made it onto this list. 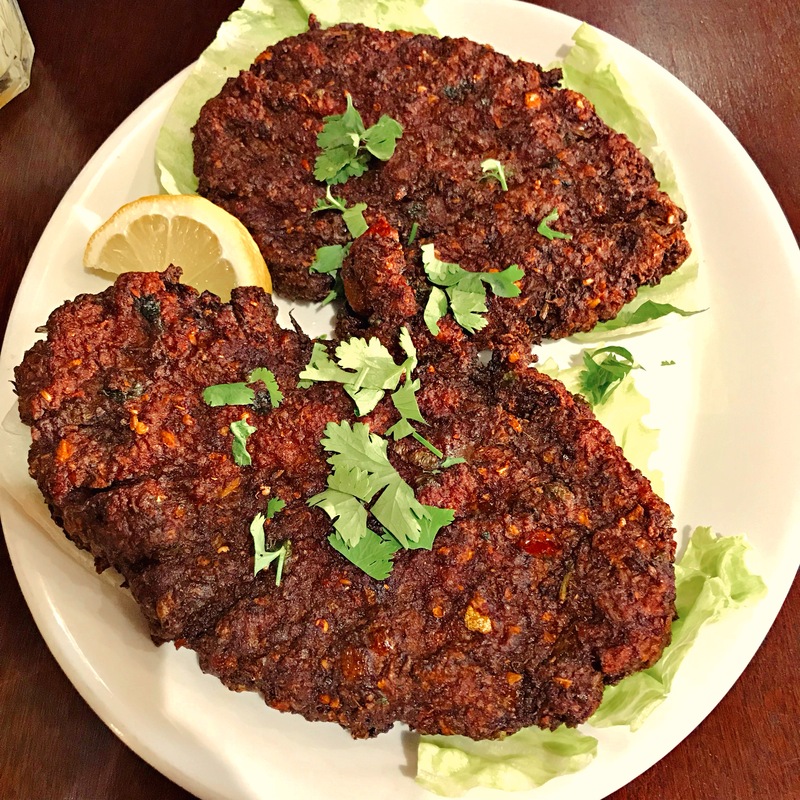 The baby chicken, more boneless than a Tory Remainer and far more appetising, is one of my favourite things to eat there – as are the perfectly light falafel, not to mention the chicken livers, in a rich sauce which manages to be both fruity and fiery. But in the end, it was impossible to look past the lamb shawarma. 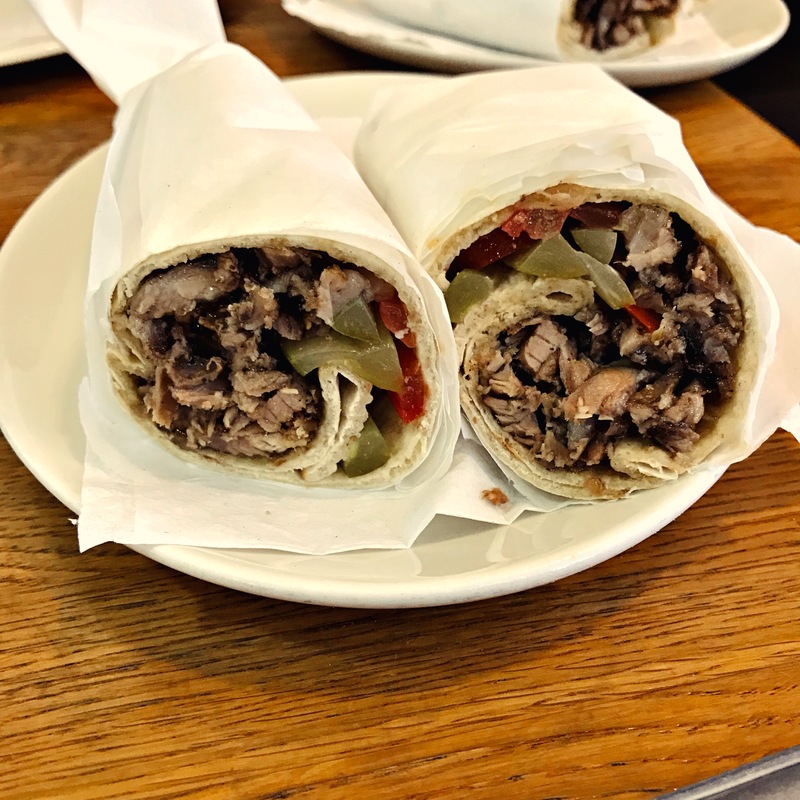 How Bakery House manages to pack such rich flavour into shards of lamb I will never know, but when you team that up with a smudge of tahini, salad and sharp, crisp pickles you have the perfect sandwich. Well worth a short lunchtime walk out of town and miles better than anything you could pick up at the likes of Pret A Manger. Workhouse Coffee might not be everybody’s first choice of a lunch venue. It has little to offer the tea drinker – owner Greg Costello seems to hold tea drinkers in much the same regard as I hold members of Britain First – and you may want somewhere with wi-fi, or comfy seats, or even a readily accessible loo. You might want to see the prices of everything clearly listed, and who could blame you? These are all fair challenges, but what you can’t knock is the wide array of baked goods and sandwiches he lays on (figuratively not literally, thank Christ). I once Tweeted that Workhouse’s quiche Lorraine should be available on the NHS and I stand by that. It’s a marvel: crumbly buttery pastry, creamy egg, salty bacon and ribbon upon ribbon of sweet, caramelised onion. 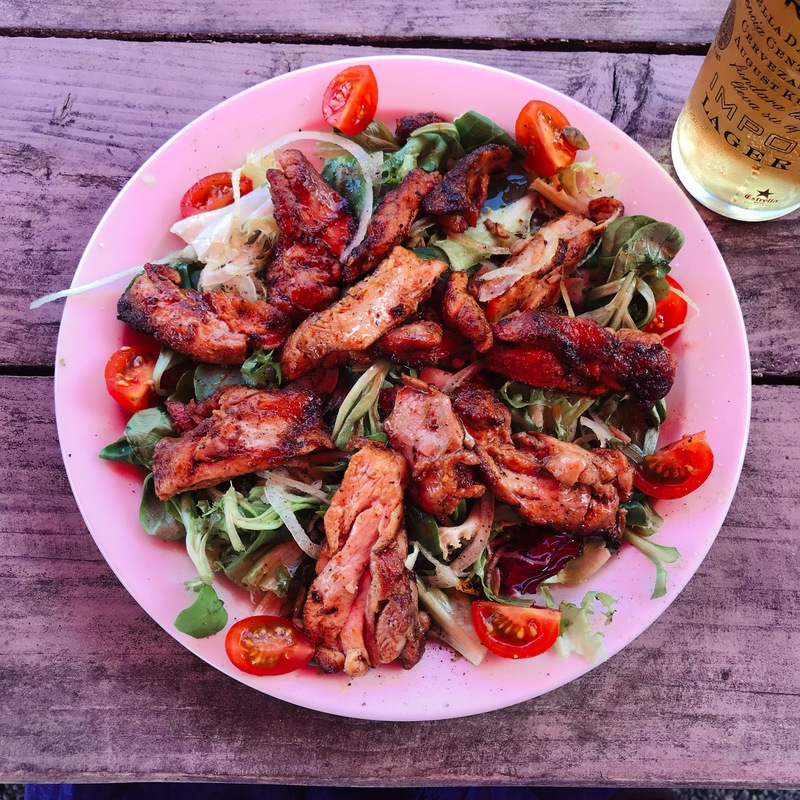 Order one for lunch when you have some time to spare (they don’t arrive at your table too quickly) and properly take your time eating one of Reading’s great dishes. Far more expensive than the steak bakes up the road on the market place, but worth every single penny. I’ve eaten this many times, but never stopped to take a photograph: I think that tells its own story. Yes, I picked a salad. Deal with it. I’m often asked what the best roast dinner in Reading is, and I always cop out, telling people I don’t really review Sunday lunches. Reading used to have a magnificent blogger who did exactly that, and now he has moved to London where he writes brilliant weekly reviews. I’ve always thought that Sunday roasts are best done at home where you can have them exactly how you like and time everything perfectly. But actually, on reflection, there is a clear candidate for the best roast in Reading, the only drawback being that you can only order it on Friday and Saturday nights. Pepe Sale’s suckling pig is a phenomenal piece of work – beautifully dense slabs of pork, no sign of dryness, along with a crackling that’s so good you could almost weep. I realised in the course of writing this piece that I don’t have a photo of this dish, which is the cosmos’ way of telling me to go back soon. So, come on then: what did I miss?